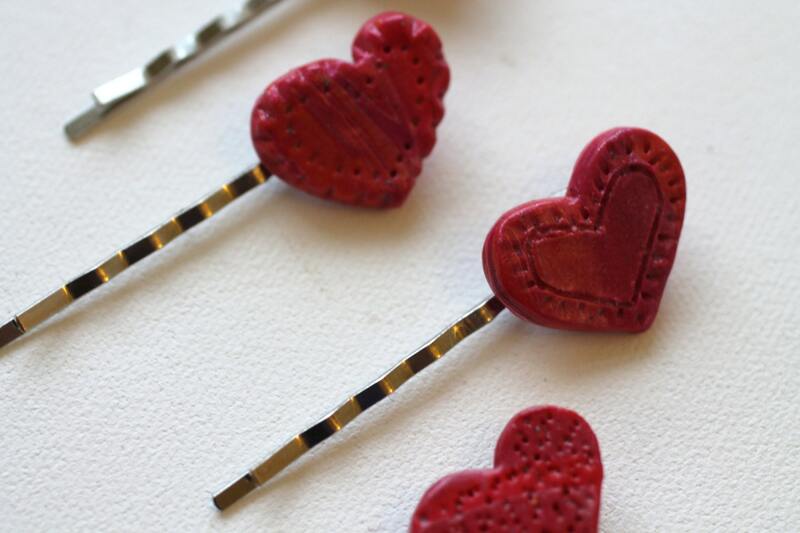 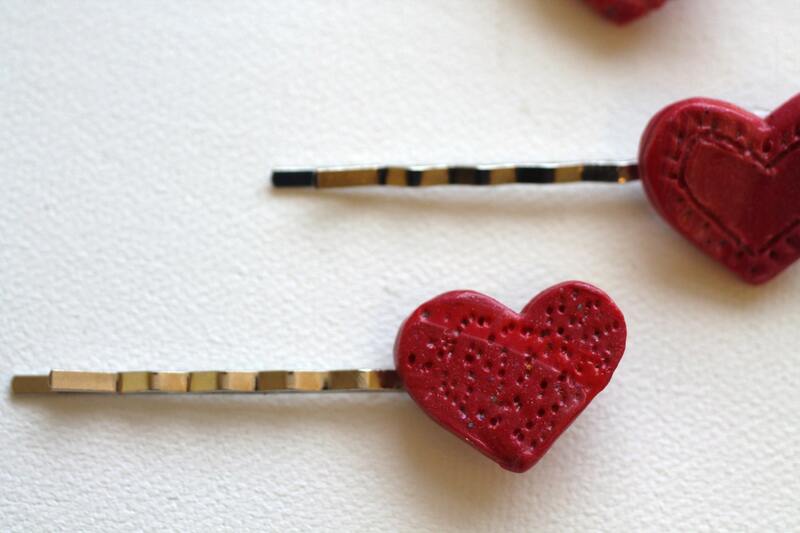 The Sweetest, Teeniest Heart Pins, Perfect for Side Bangs, Buns and Updos. 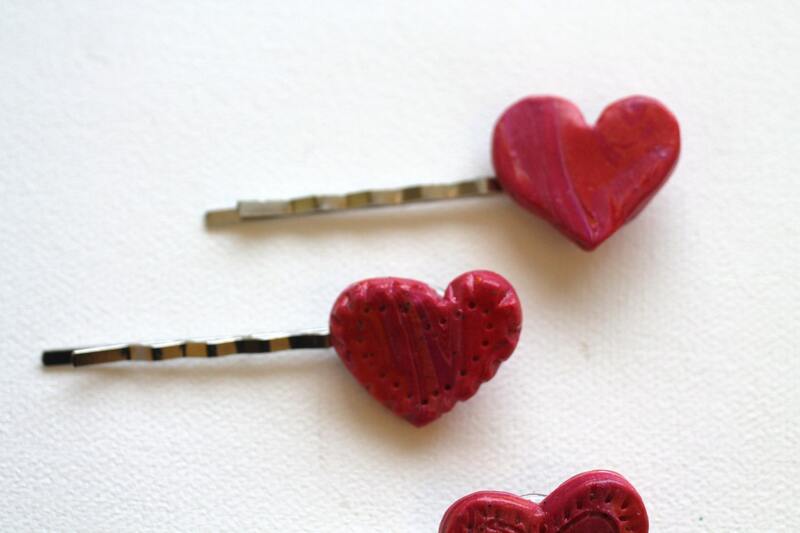 Hand Made from Polymer Clay, Carved and Shaped, Each Set is Unique and Never Exactly Alike. 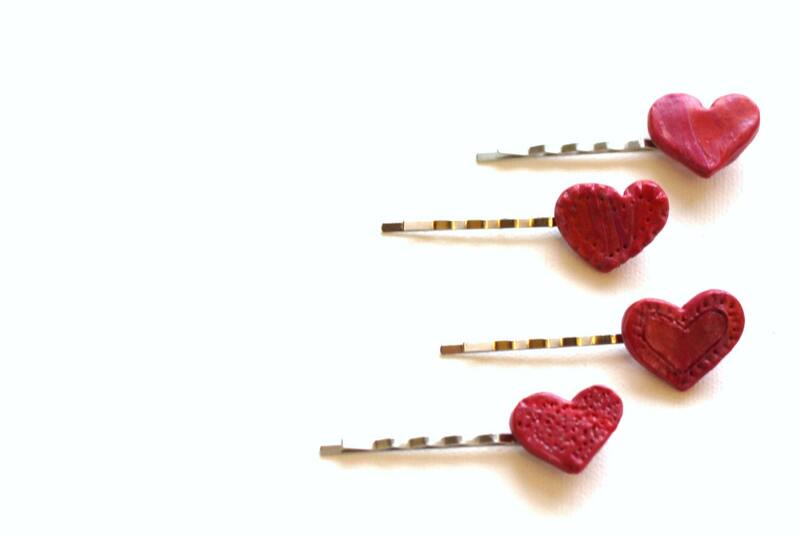 Cute...but the hearts were bigger than I expected. I should have paid more attention to the size.